Yes, the Nevill does have a history! Work on this project was inspired by the Lewes History meeting we had in February 2012. Another look at my house deeds made me realize just how much information they gave me about my property and the origins of the estate. Not only did they contain confirmation that the land on which the estate was eventually built had been owned by the Nevill family for many centuries, they also included maps showing the plans for development as well as details about the cost of the transaction. Negotiations were carried out with Lewes Borough Council in 1920 by a committee representing the Marquis of Abergavenny who, as a “person of unsound mind” was unable to conduct them himself. The Borough Council Minutes in the Record Office and the microfilm version of the Sussex Express in Lewes Library fleshed out the story. Almost 100 years before, at the time of the Poor Law Amendment Act, the Lewes Board of Guardians had rejected this area as being “too elevated and windy” for elderly paupers. Lewes Council was now arguing that “Altogether … it is felt that no serious disadvantage attaches to the site as regards its position”. 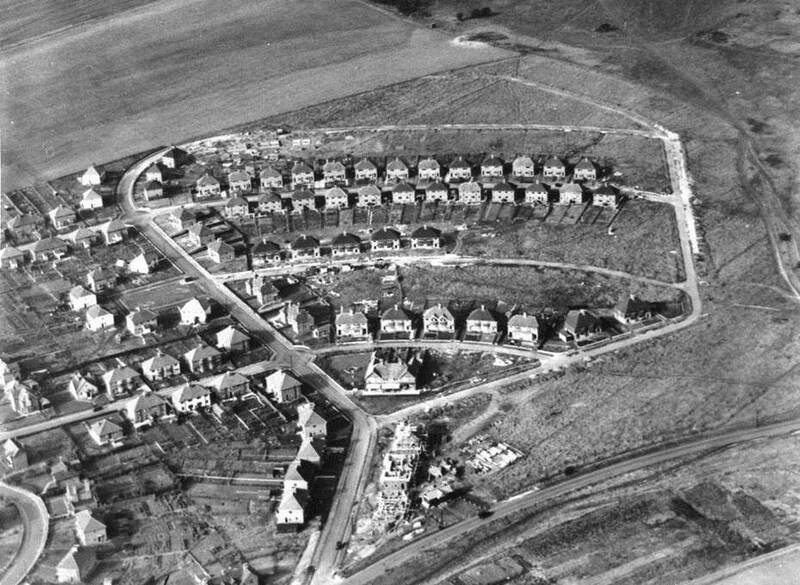 A series of Housing Acts was forcing them to consider sites for housing the working classes and especially to build “Homes fit for Heroes” after the First World War. Lewes Borough Council insisted that it was happy to do so, and denied a claim made in the Sussex Express that plans for the new estate originated with the Trades and Labour Council. I have collected the names of those who lived in some of the Nevill roads in the 1920s and 1930s from Street Directories but there is much more to be learned from photographs, postcards, building records, other documents and, even more fascinating, the memories of people who are coming forward. We very much enjoyed Brian Beck’s anecdotes at our November 2012 talk, and others have been interviewed by Sarah Hitchings, Jenny Stewart and me. How interesting to discover that German prisoners of war were used to build the prison officers’ houses in Hawkenbury Way! 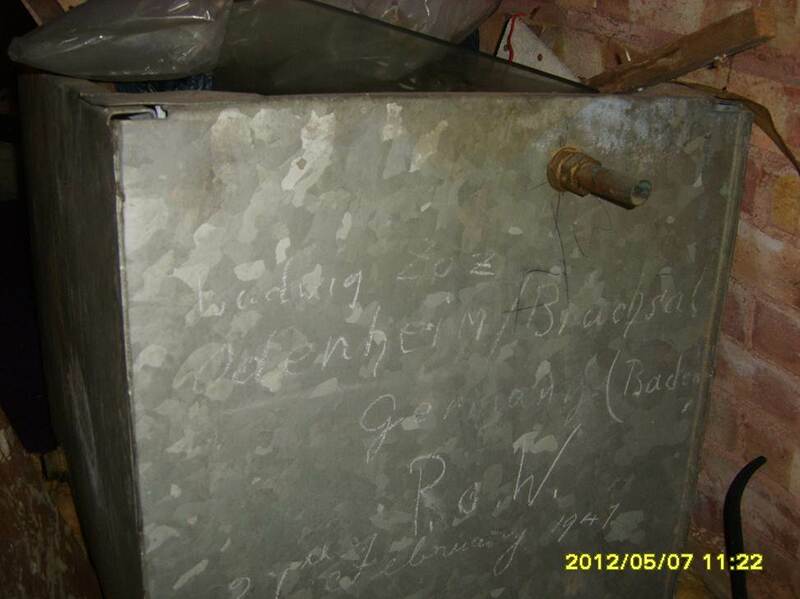 We know because one of them signed a water tank in one of the lofts. There is so much more to discover and we hope to create a team of researchers and supporters from the large number of residents who attended the November meeting. We also hope that similar projects might develop in Landport and Malling while there are still people who remember the early days of these developments.